This is a new National Electric Code (NEC) sticker or decal from the National Fire Protection Association (NFPA). This is an original sticker from the NFPA – it is not a reproduction. The sticker is new and unused, but see photo for condition. For the 2014 NEC®, this specially designed set includes 96 color coded tabs. Don't be limited by the sets that have only 48 tabs. The 2014 EZ Tabs. The best reference tabs that you can get for the 2014 NEC® now include the EZ Formula Guide. FOR SALE IS AN ELECTRICAL MANUAL PICTURED. NEC-16T. PA-PC56-A, M-675671, NEAX 2400 IMS Circuit Board . PA-PC56-A, M-675671, NEAX 2400 IMS Circuit Board. TAKE A LOOK ON MY OTHER NEC- CARDS MAY YOU INTERESTED. May have been flipped through by instructor other than that, excellent condition. 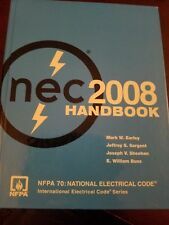 This is a hard cover copy of the 2008 NEC Handbook. In very good condition. 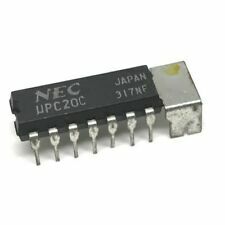 7N900562 NEC N860-9704-T103/21 Shipped with USPS Priority Mail (1 to 3 business days). This is a Great deal! CATALOG #: X5256A. CIRCUIT BOARD. LOCATION: CIRCUIT BOARD SHELF 1. ITEM HISTORY, FUNCTIONALITY, OR TESTING STATUS: USED / PULLED FROM WORKING UNIT. "THE SALE OF THIS ITEM MAY BE SUBJECT TO REGULATION BY THE U.S. FOOD AND DRUG ADMINISTRATION AND STATE AND LOCAL REGULATORY AGENCIES. TAKE A LOOK ON MY OTHER NEC- CARDS MAY YOU INTERESTED. Removed from a working unit. Power Supplies. Double high spec TCXOS, double mixers, S/N 8743. CATALOG #: D4ACB0C6AA. CIRCUIT BOARD. CIRCUIT BOARD. LOCATION: CIRCUIT BOARD SHELF 1. CATALOG #: X5256A-V01A. THIS IS A NEC ND4E CHANNEL BANK WITH ( 24 LINE CARDS) AND COMMON CARDS. THIS WAS REMOVED FROM SERVICE IN GOOD CONDITION . WE WILL SHIP BY WHATEVER METHOD YOU REQUEST. HAVING BEEN IN TELECOM BUSINESS FOR 45 YEARS I ONLY BUY EQUIPMENT IN GOOD CONDITION AND ONLY SELL EQUIPMENT IN GOOD CONDITION .SO,YOU CAN BUY WITH CONFIDENCE . THANKS ! CHARLES. Manufacturer: NEC. Output- AC90V 0.33A 12V 4A, -48V 16A 5V 24A, 80V 3A-5V 6A. 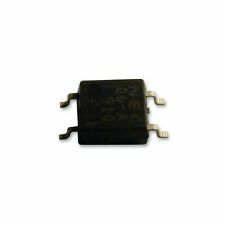 Input- -48V, 22.5A, 80V, 3A. 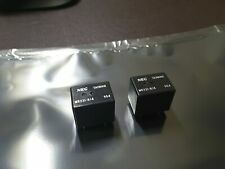 NEC NEAX 2400 IMS, FACE. TAKE A LOOK ON MY OTHER NEC- CARDS MAY YOU INTERESTED. This receiver unit works with a wide range of NEC projectors and remotes. This item is new and never used. CATALOG #: D4TRCP07AA. CIRCUIT BOARD. LOCATION: CIRCUIT BOARD SHELF 3. 7N900562 NEC N860-9704-T103/21. Shipped with USPS Priority Mail. 24VDC 750mA output. Gordon-Lasalle Music. 120VAC input. National Electrical Code Book 2005 Spiral edition NEC by NFPA (National Fire Protection Association). ISBN # 0-87765-623-1. This unit has NOT BEEN TESTED or hooked up to power to check for working condition. Unit is UNTESTED. CATALOG #: NDR064RTP 869 D4DPP108AA. NDR064RTP 869. 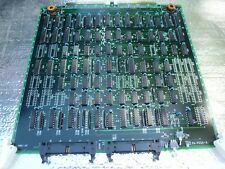 NEC COMPUTER RISER CIRCUIT BOARD. NEC NEAX 2400 SYSTEM CIRCUIT BOARD. Made in USA. NEC PA-16LCBJ Circuit Board PA16LCBJ - New No Box. Phone System Circuit Card.